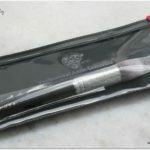 I have been a fan of the world renowned Real Techniques brushes ever since I started using them,they are really soooo good.I had always applied my foundation with Real Techniques and Sigma stippling brushes but seeing the awesome quality of Real Technique brushes I was intrigued to try out the Real Techniques Miracle complexion sponge. 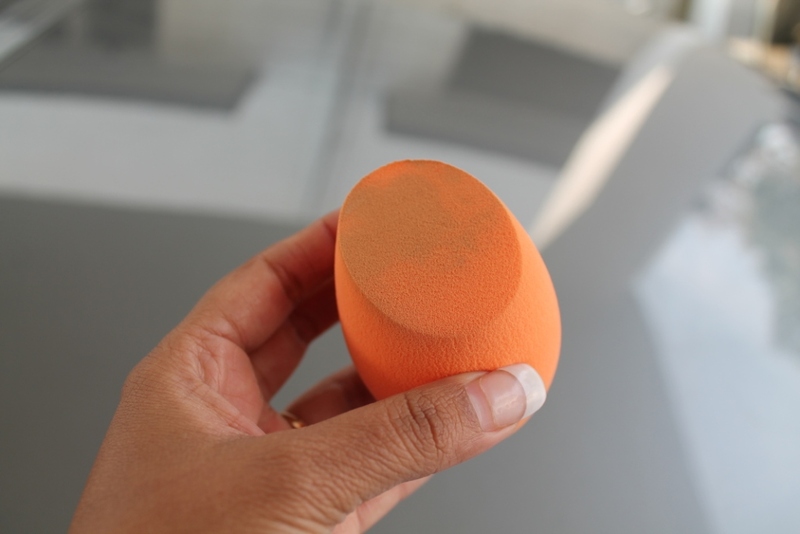 I have never been into makeup sponges and all but seeing the number of Youtubers and Makeup Guru’s using the Original Beauty Blender,I too was eager to try it out,but as the Beauty Blender was too expensive I decided to try out the Real Techniques makeup sponge at first.First it is way cheaper than the Beauty Blender and I had heard a lot of Youtubers rave about it,many of them even compared it to the Beauty Blender,so I decided to give it a shot. 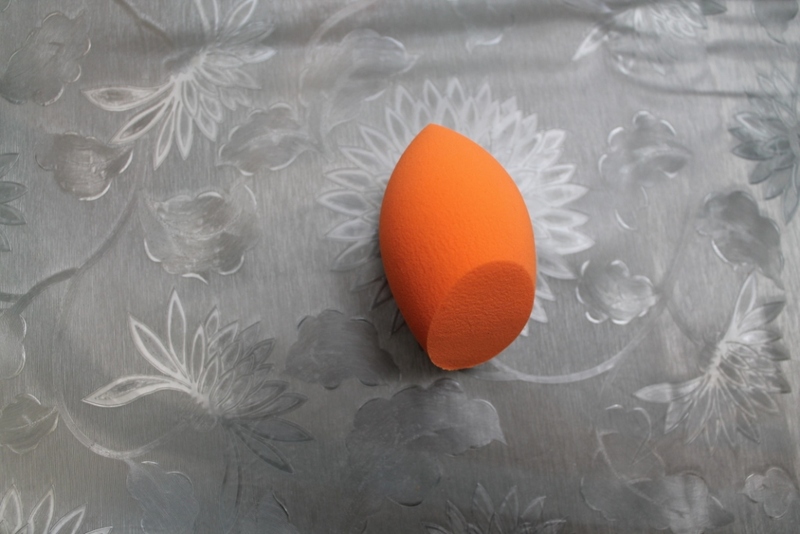 The Beauty Blender took the makeup world by storm but considering its price point it did deter a lot of people like me from buying it so I decided to use the much more affordable version of the Beauty Blender i.e.The Real Techniques Miracle Complexion Sponge.Real Techniques makeup sponge is an affordable and high quality makeup applicator that is rumored to be a dupe of the Original Beauty Blender. 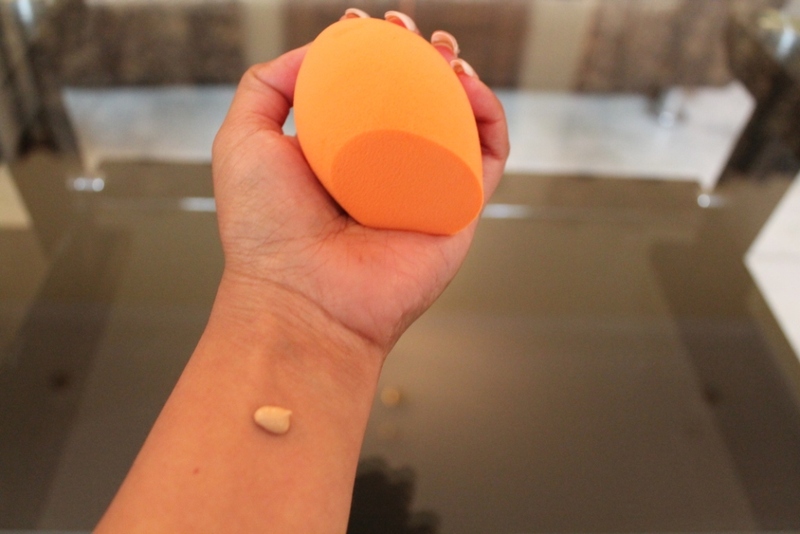 Optimize your beauty routine with the #1 brander makeup sponge*! This versatile beauty tool was designed with a revolutionary foam technology to evenly blend makeup for a smooth,enhanced finish.Use damp for a dewy glow or dry for a full coverage. -Rounded sides blend large areas of the face with a dabbing motion. 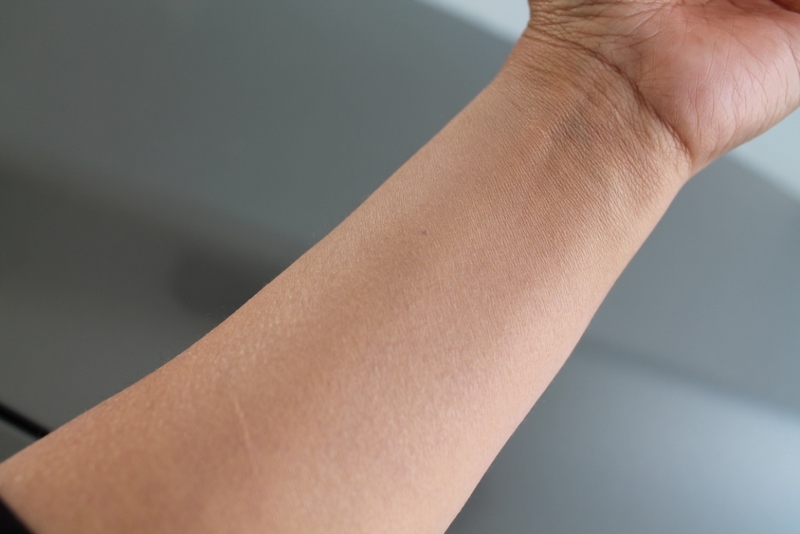 -Precision tip covers blemishes and imperfections. 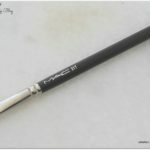 -Flat edge for contouring around the eyes and nose. For best results,replace makeup sponge every 1-3 months. Price:I ordered mine from Amazon.in for Rs.700/. 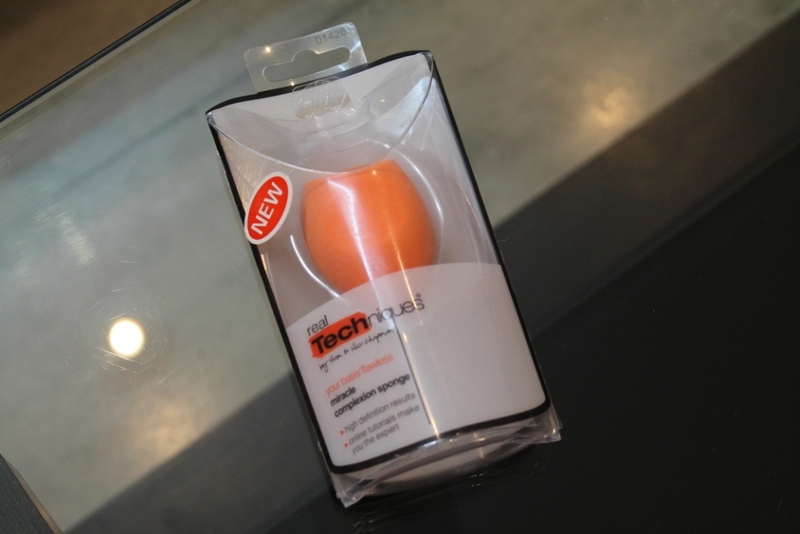 Packaging of the Real Techniques Miracle Complexion Sponge:It comes in a hard transparent plastic box or case like all Real Techniques brushes do. 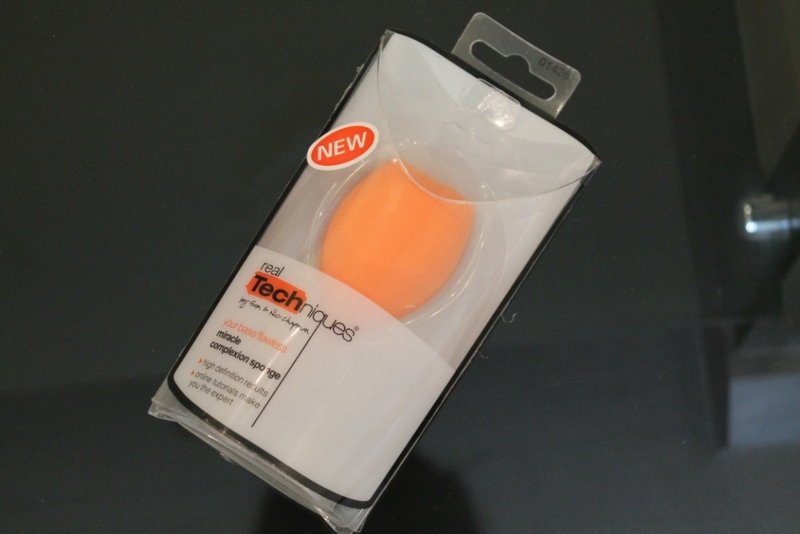 Real Techniques Miracle Complexion Sponge is an orange coloured high quality make up sponge.It is similar to the Beauty Blender in shape except for the fact that it has a flat side to it.I feel that the Real Techniques sponge design is much better as compared to the Beauty Blender. The makeup sponge is supposed to be used damp so I hold my sponge under running water for a minute,it expands and doubles up in size,once it absorbs the water, squeeze out the excess water from it.After that I take out the desired quantity of foundation on the back of my hand and dab the flat side of the sponge in the foundation.Now there are two ways in which the sponge can be used to create a flawless base:firstly,you can dab the sponge all over your face and secondly,you can sweep the sponge all over your face and neck for a much more sheerer coverage.I basically like to use the dabbing motion to apply the foundation,I feel like this it gives me much more coverage and the finish is much more natural.I dab my foundation all over my face with the flat side and I use the pointed side of the sponge to get into the nooks and corners of my face,like into the corners of my nose,into the hairline,under the eyes etc. 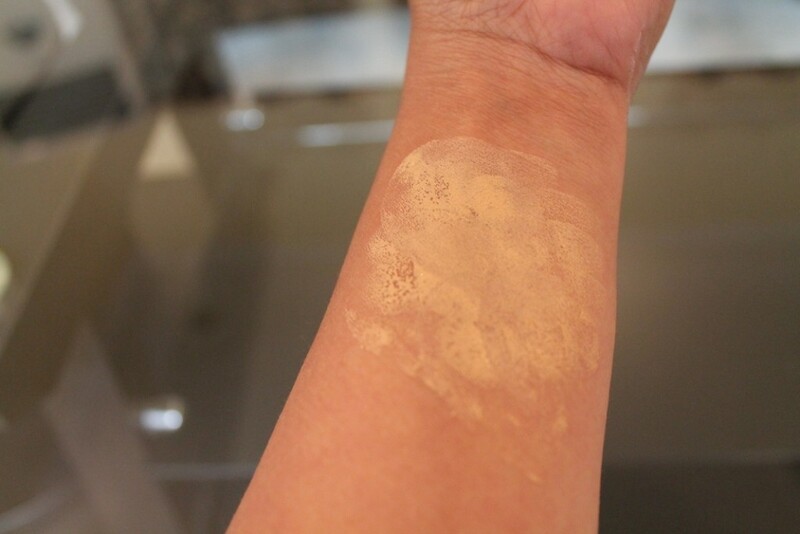 This sponge gives me such a even and flawless finish to my foundation,without any creasing and cakiness.It picks up any excess product from my face and gives it a very natural and dewy finish.The flat side of the sponge is useful in patting the foundation into your skin.The flat side is perfect to quickly spread the foundation across larger areas of the face and neck.I feel I can apply my fondation much more easily and quickly with this sponge as compared to a brush.The flat side is perfect for areas such as the neck,cheeks and the forehead.The pointed side is perfect for applying foundation to difficult areas like corners of the nose and under the eyes. I guess the Real Techniques Miracle Complexion Sponge has an upper edge over the Beauty Blender because of its unique shape which can be used for all different areas of the face. I feel if the base is perfect,everything else seems to be perfect and everything else falls into place automatically.I am very particular about my makeup base and I dread anything that makes my skin look heavy and cakey.Over the years,I have tried a lot of methods for applying my base but nothing came close to this sponge.It gives the most natural finish and helps my skin to absorb the foundation and make it look dewy and natural.Real Techniques makeup sponge has absolutely transformed my base makeup routine. 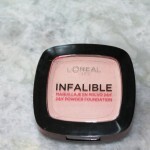 For my concealer,I apply the concealer with the wand to my under eye area,to the corners of my nose ,around my lips and then I use my damp sponge to dab the concealer with the sponge and voila….it sets in like a dream.It does not crease at all.I use the pointed tip for my under eye area and it gets to the innermost corner of my eye and sets my concealer into place without creasing and without settling into the fine lines. What I like the most about the Real Techniques Miracle Complexion Sponge is that you do not need to use 2-3 different brushes for your face like a foundation brush and a concealer brush,its just one tool and you are sorted.You can apply your concealer and foundation with the same tool.Sometimes I even apply my cream blusher with this sponge.I pick up a little product on the pointed side and dab it on the apples of my cheeks and it blends in flawlessly.You can even apply BB and CC Creams with this sponge. I sometimes apply my cream contour or bronzer with the pointed side of the sponge and it blends the contour so seamlessly. 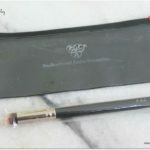 The Real Techniques Miracle Complexion Sponge is worth every single penny you spend on it and I am addicted to it now.I have been using it for around 2 months now and I am really satisfied with it.It is my holy grain make up applicator now. You need to wash it every week and as per Samantha Chapman,the owner of Real Techniques,the sponge can be cleaned with any shampoo,one doesn’t need to buy a separate expensive sponge cleaner like for the Beauty Blender. 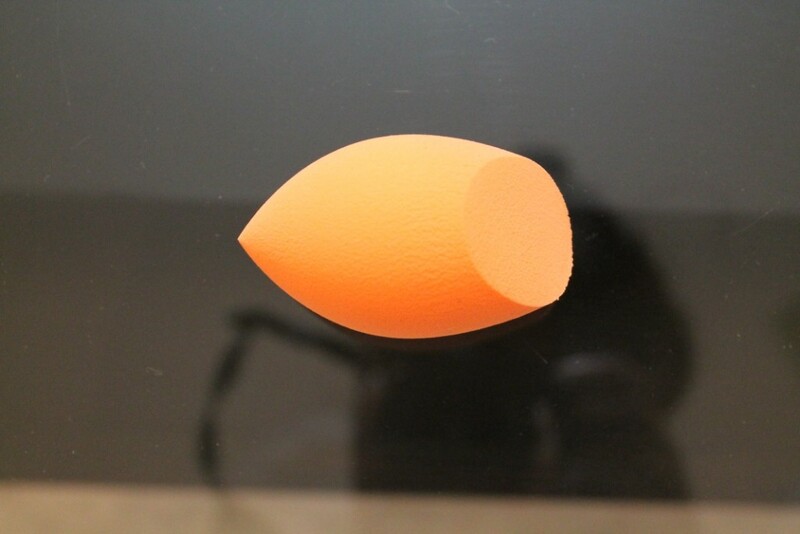 3.Dupe of the Beauty Blender. 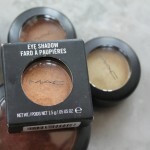 4.Blends makeup beautifully and gives a very natural finish. I could not think of any con because I am so much in love with it. If you want your foundation/base to be perfect and you just want to buy one single tool for applying your base,then go ahead and grab the Real Techniques Miracle Complexion Sponge as soon as you can.Hope my review was helpful.Do drop in your comments. I love this sponge. 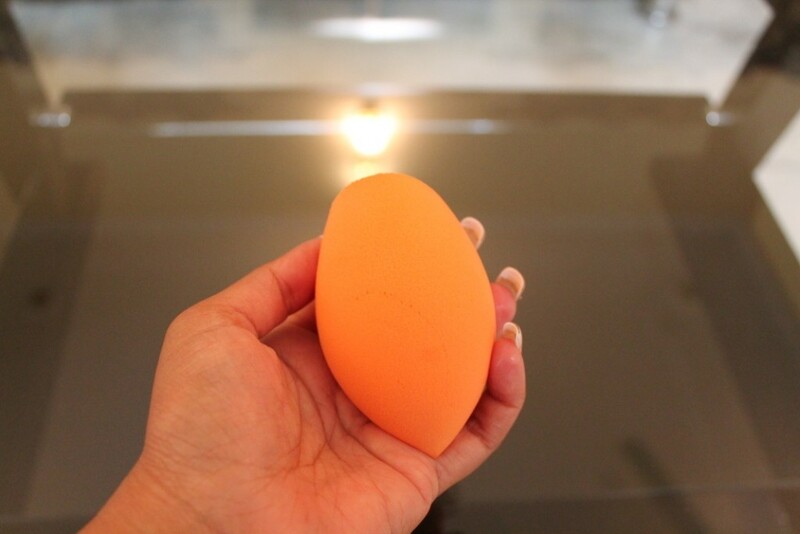 Almost a fraction of the cost as the beauty blender and works amazing. 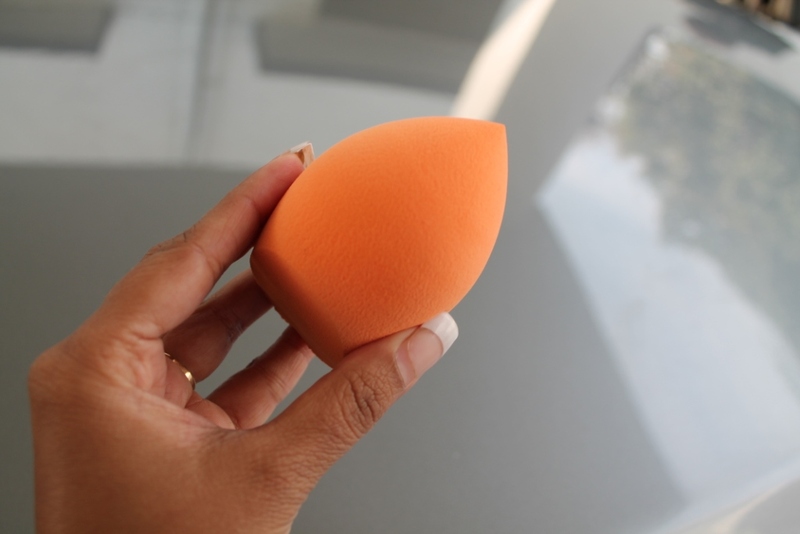 Yeah Sangeeta.This sponge is really amazing,i just love it to bits.Beauty Blender,I guess is just a hyped version coz this one works perfectly fine.